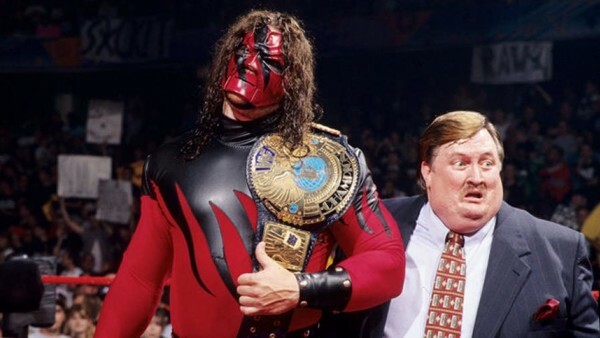 As one of the scariest men to ever step between the ropes, you'd think Kane would've had a more meaningful run as world champion . He was a skilled, terrifying monster, but rarely ever got a look in with regards to the WWE Championship. Instead, he found himself as a tag team specialist for most of his career. Despite this, he did become a world champion with the company one year after donning the mask. However, the ‘Big Red Machine’ hardly set the world on fire with his first run as WWF Champion in 1998. Kane’s reign lasted 19 hours and was won under dubious circumstances, thanks to Mankind and The Undertaker’s interference. Not only that, Mick Foley's deranged alter ego and ‘Taker overshadowed Kane’s achievement with their infamous Hell in a Cell match. After he lost the WWF Championship back to ‘Stone Cold’ Steve Austin on Raw, it took 12 years for the ‘Devil’s Favourite Demon’ to win a major WWE title again. No one can say Kane had a bad career. Having competed in the 'E for nearly 25 years as a massive, demonic powerhouse, he managed to carve out a very successful run with the company, asserting himself as a Grand Slam champion with an impressive 12 reigns as a tag team champion. I'm technically an adult but no one in their right mind would ever call me a man. Freelance writer interested in wrestling, television, film, literature, and video games.